To survive, newspapers must emphasize investigative reporting. This week, The St. Augustine Record, to its credit, twice printed page one stories by The Washington Post Expect more miracles.. Since The Washington Post’s Watergate-era glory days, my need to read that paper has waxed and waned. I already pay for and scour The New York Times (of course), The Wall Street Journal and The New Yorker, which is a lot to manage before I even get to the books on my night stand and Kindle. So I haven’t been looking for more to read, let alone another monthly expense. But for some time, a Washington Post logo with the caption “Breaking News” has been popping onto my laptop’s screen. I’m not sure how The Post insinuated itself into my prime digital real estate, since I don’t recall inviting it there. And I’d probably find it annoying and intrusive if the breaking news weren’t so interesting. Monday’s sensational headline — “Trump revealed highly classified information to Russian diplomats in their Oval Office meeting last week” — was beyond interesting. Of course I clicked. That’s when I learned I’d bumped up against The Post’s pay barrier, along with the flattering observation that “You obviously love great journalism.” And for just 99 cents for the first four weeks and a few more clicks, I could keep reading. Who could resist? I became a subscriber for the first time, and The Post had just monetized its scoop. As a private company since 2013, when the deep-pocketed Amazon founder Jeff Bezos bought it for $250 million, The Post doesn’t disclose much financial data. 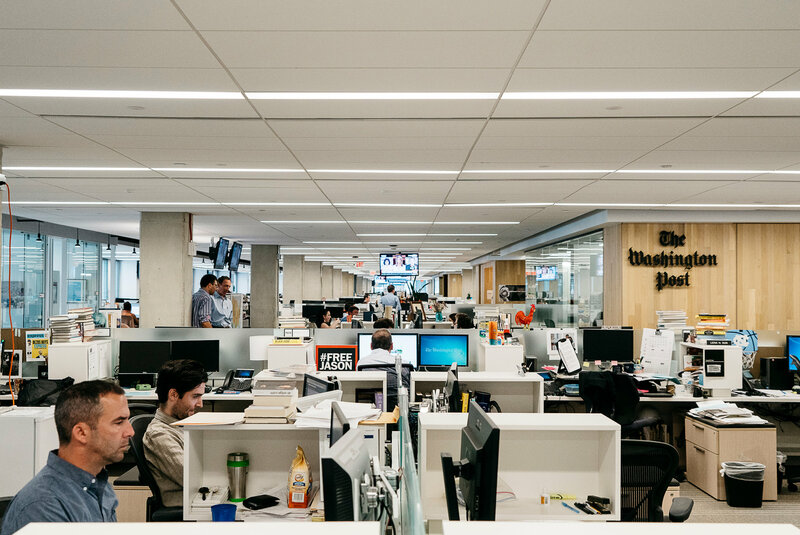 But by all visible measures, including the vital but hard-to-measure buzz factor, the resurrection of The Post, both editorially and financially, in less than four years has been little short of astonishing. The Post has said that it was profitable last year — and not through cost-cutting. 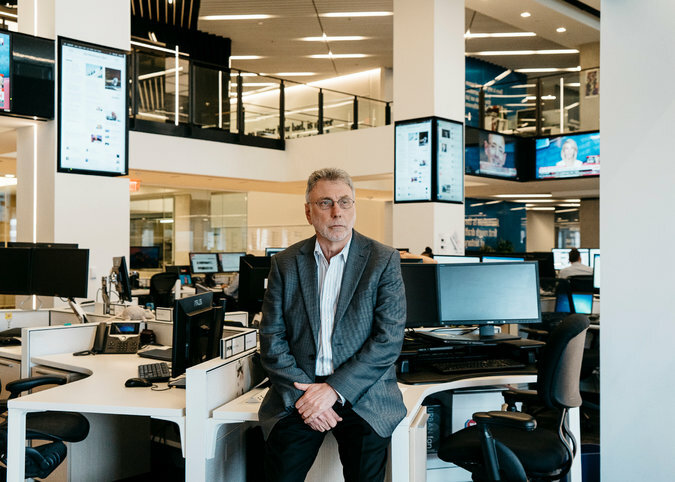 On the contrary, under the newsroom leadership of Martin Baron, the former editor of The Boston Globe memorably portrayed in the film “Spotlight,” The Post has gone on a hiring spree. It has hired hundreds of reporters and editors and has more than tripled its technology staff. Last month, according to figures from comScore, The Post had 78.7 million unique users and 811 million digital page views, trailing only CNN and The New York Times among news organizations. To be sure, as with other newspapers, The Post’s economic picture is still encumbered by print, where declines in circulation and advertising revenue continue unabated. And its digital rebound has most likely come from a modest base. It was The Post’s revelation that Michael T. Flynn had lied about his contacts with the Russians that cost him his job as national security adviser and plunged the White House into a continuing crisis over Mr. Trump’s attempts to limit the investigation into his administration’s ties to Russia. Scoops — and high-quality journalism more generally — are integral to The Post’s business model at a time when the future of digital journalism seemed to be veering toward the lowest common denominator of exploding watermelons and stupid pet tricks. Mr. Huber noted that given the winner-take-all nature of the internet, the sources of scoops are gravitating toward just a few news outlets led by The Times and The Post. Sources (and people who want to “leak”) go to a publication with the most impact; opinion makers and influencers seek the publication with the most sources and scoops — hence the “network effect” so coveted in technology circles, and one well understood by Mr. Bezos. When I asked Mr. Baron to name one thing that has driven the turnaround, his immediate answer was Mr. Bezos — and not because of his vast fortune. But Mr. Bezos also seems to be a hands-off owner: Although Mr. Baron said they typically have a teleconference call every two weeks, Mr. Bezos hadn’t called this week, even after the Russia scoop. For many, this week’s avalanche of breaking news brought back vivid memories of Nixon and Watergate, “All the President’s Men,” and the Post reporters Woodward and Bernstein. But The Post’s current leadership is the first to admit that times have changed so vastly that such pre-internet comparisons are largely irrelevant.